We’re often asked why the windows in our upstairs bedrooms are so high. There are two reasons for this – to comply with the fall prevention requirements outlined in the National Construction Code (NCC) and to avoid the potential need to comply with the privacy screening requirements for small lot housing. 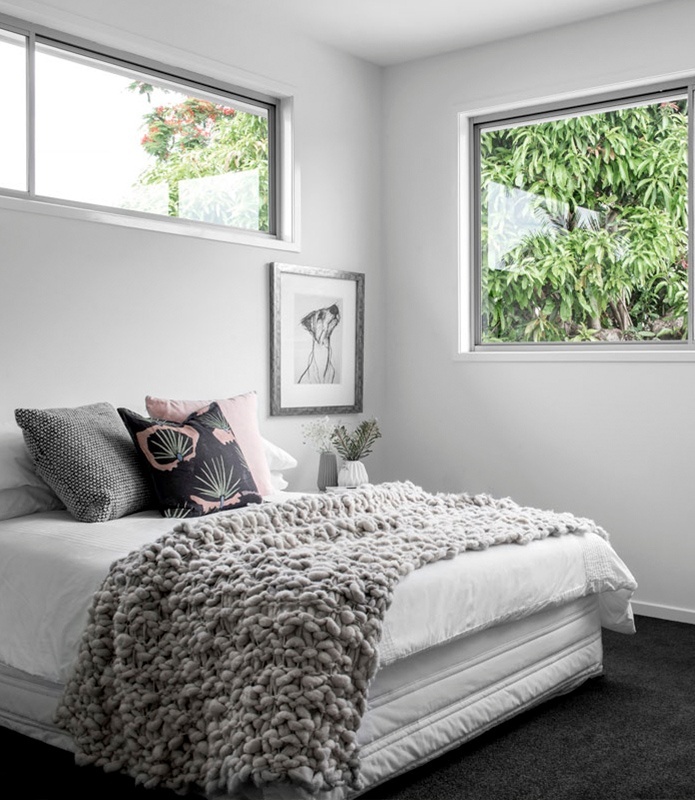 Having a window with a sill height of at least 1.7m above the floor level is the easiest way to comply with the fall prevention requirements, however this may not be suitable depending on ceiling heights. If the window sill is within 1.7m, a permanent restrictor or a security screen will need to be installed. Permanent restrictors limit the window’s opening to 100mm. The Australian Window Association have an easy flowchart to determine fall prevention requirements as prescribed by the NCC. Privacy is an important factor when building on small or narrow lots as a conventional 10m wide blocks might have external walls of adjoining houses as close as 2m away. Because of this, privacy screening may be required to windows that have a sill height less than 1.5m above the floor level. The need for privacy screening is window specific and determined by the certifier during the construction process. The certifier will make a decision based on what exists on the neighbouring properties at that time. Using high level windows provides the required privacy on a small lot home and negates the need for any privacy screening, while still meeting the requirements for fall prevention.